BF Utilities, owned by Bharat Forge, is in advanced talks with Goldman Sachs to sell 10-15 per cent stake in phase II of the 164-km expressway connecting Bengaluru and Mysore. 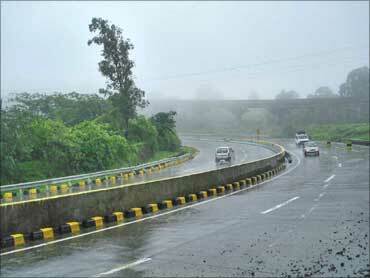 The Expressway was built by Nandi Infrastructure Corridor Enterprise (NICE), a subsidiary of BF Utilities. According to people aware of the development, the size of the deal, which is being done through Goldman Sachs Capital Partners, the private equity arm of Goldman Sachs, would be about Rs 500 crore (Rs 5 billion). Phase I will be completed by January 2011 and the term sheet for phase II will be signed soon. 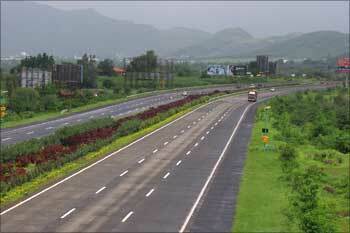 The project -- the Bengaluru-Mysore Infrastructure Corridor (BMIC) -- has been valued at Rs 18,000 crore (Rs 180 billion). 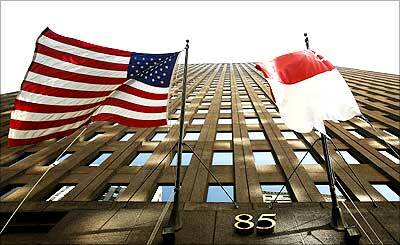 Image: Goldman Sachs headquaters in New York. According to sources, about 10 per cent of phase I of BMIC had been sold to the infrastructure arm of Morgan Stanley for Rs 750 crore (Rs 7.50 billion) last year. Leading international capital advisors, O3 Capital, has been mandated the deal for phase II, which, however, could not be confirmed. O3 Capital officials refused to comment. This year witnessed more than 150 per cent growth in the overall deal size in Indian infrastructure space. Till date, 53 PE/VC deals worth about $3 billion took place in infra space against 43 deals worth $1.1 billion last year, a VCCedge data said. Goldman Sachs spokesperson refused to comment on the matter while mail sent to Bhalchandra Mitkari, VP (Finance), BF Utilities, did not elicit any response. On Thursday, shares of BF Utilities went down by 1.42 per cent to touch at Rs 706 on the BSE. The project has been divided in four phases: phase I -- a 9.1-km link road connecting central Bengaluru with peripheral road; phase II -- a 41-km peripheral road around Bengaluru city linking Hosur Road -- NH-7 to Tumkur Road -- NH-4; phase III -- a 111-km Expressway between Bengaluru and Mysore and phase IV -- a 3-km elevated road in Bengaluru. Concession period for toll road is 40 years, including 10 years of construction period. NICE develops five new township along the Expressway. However, the BMIC project has been surrounded by controversies for quite sometime following the innumerable petitions filed by various parties and the former prime minister Deve Gowda to stall the project over land acquisition issues. According to reports, more than 300 petitions have been filed against the project in various courts in Karnataka. In 1995, a consortium consisting Kalyani Group, US-based companies such as SAB Engineering and Vanasse Hangen Brustlin signed a memorandum of understanding with the GoK headed by then chief minister H D Deve Gowda for the construction of the expressway. Goldman Sachs Capital Partners, the PE arm of Goldman Sachs, invested Rs 540 crore (Rs 5.40 billion) in Max India, to acquire about 10 per cent stake, last year. In March 2010, Goldman Sachs invested about $425 million in Asian Genco Pte Ltd, along with other PE majors. Last year, Goldman Sachs acquired about 70 per cent in internet service provider Tikona Digital Networks, along with Indivision India Partners, Oak India Investments and Green Lotus by investing about Rs 240 crore (Rs 2.40 billion). Currently, GS Capital Partners invests from its $20-billion fund-GS Capital Partners VI, formed in 2007. 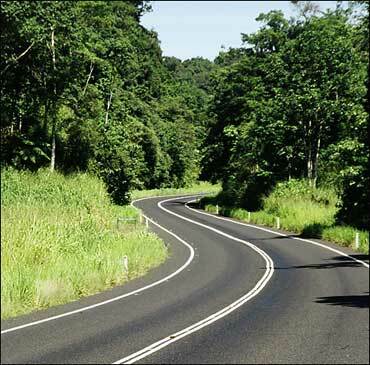 In one among the top deals in 2010, ActisActis invested about $78 million in TRIL Roads Pvt Ltd. 3i India Infrastructure Fund invested in Soma Highway in January 2010.